Mr. Hamid played key role in building Warid Telecom from scratch. He was the founding member and CEO of the company until he resigned in 2007 due to untold but obvious reasons. Before his recent appointment at PTCL, Hamid Farooq served a Hong Kong based research firm. 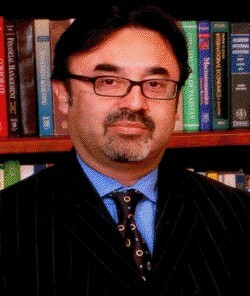 He has served Mobilink in the past too as EVP and Chief Financial Officer from 1993 to 2004. Hamid Farooq’s appointment made him join his old Warid mates including Naveed Saeed, Javed Mushtaq and others. However, his old time differences with Naveed Saeed are reportedly intact – mainly due to a reason that customer support was previously under Naveed Saeed, which is now given to Hamid Farooq. PTCL has confirmed us his appointment, however, Hamid Farooq’s official website hasn’t got this update.